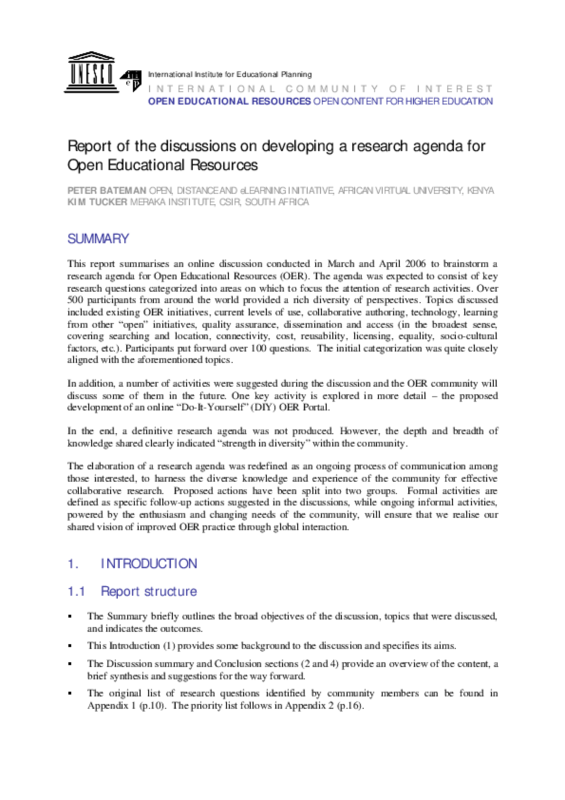 This report summarises a UNESCO-IIEP OER Community discussion conducted in March and April 2006 to brainstorm a research agenda for Open Educational Resources. Over 500 participants from around the world provided a rich diversity of perspectives. Topics discussed included existing OER initiatives, current levels of use, collaborative authoring, technology, learning from other open initiatives, quality assurance, dissemination and access. Participants put forward over 100 questions.